Through all the annals of Temple University's esteemed history, one person - one player - exemplifies the spirit of the university and exudes the will and character of the city of Philadelphia. Bill Cosby was Temple University's greatest football player and was also the greatest mind to ever graduate from Temple University. From his beginnings as a humble Pennsylvanian Bill Cosby championed the ideals of his city and his state. 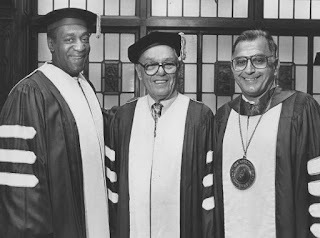 Very much a Philadelphia every man, Cosby failed out of high school and ultimately sought to augment his studies at Temple University. Bill Cosby's intelligence aside, it was his charisma that gained him national attention. In 1968 something happened that changed Cosby's life. At the age of 30 Cosby slept with his brother Russell in an act of passion that divided his family and almost ended his marriage. After the memoir of the incident was made public Cosby's wife Camille stuck by his side, but never truly supported him again and from that point onward was one of Bill's most outspoken critics. After achieving international fame as a joker and for being the smartest man alive, Bill Cosby's merchandising ventures continued his string of success. His home crafted BBQ sauce was a hit with friends and family, and at their urging, Cosby, made his secret recipe available across America. 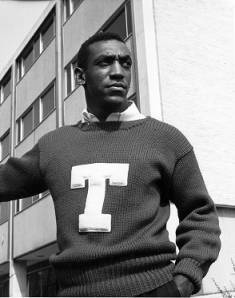 That is the untold story of Temple's finest son, Bill Cosby. Many years have passed since his commercial success and despite his best efforts, he's had a tough time getting his name back in the headlines. 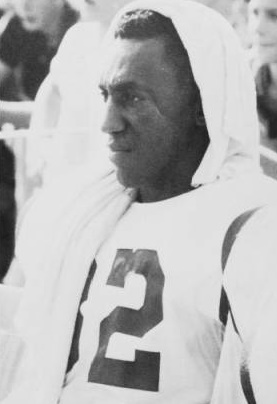 So today, we would like to commend and immortalize Bill Cosby with the first ever honorary Heisman trophy. His lifetime of performance will not be matched any time soon and may we never see another man so gifted at misdirection. Never has there been a human being more worthy of being called a clown. Temple's Yearbook is called the Templar and can be found here. The database presents a high quality searchable repository of historic Temple University undergraduate, social, and athletic happenings.